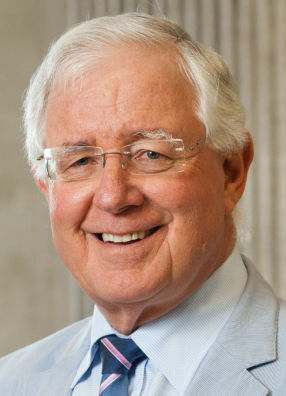 Sir Richard Faull is Director of the Centre for Brain Research at the University of Auckland, and Co-Director of the Centre for Research Excellence “Brain Research New Zealand”. Sir Richard Faull fell in love with the human brain as a third year medical student and subsequently pursued exciting research unravelling the marvels and secrets of the human brain. He has established an international reputation for his research studies on the human neurodegenerative diseases – Alzheimer’s, Epilepsy, Huntington’s, Parkinson’s and Motor Neuron diseases – which was made possible through the establishment of a human brain bank in partnership with the community. He is passionately committed to helping and giving hope through research to families and people who are touched by brain disorders. His research achievements have been recognized by several awards. He is a Fellow of the Royal Society of New Zealand; has been awarded New Zealand’s highest scientific award, the Rutherford Medal, the Liley Medal by the Health Research Council of New Zealand, and received the Supreme Award in the 2010 World Class New Zealand Awards. 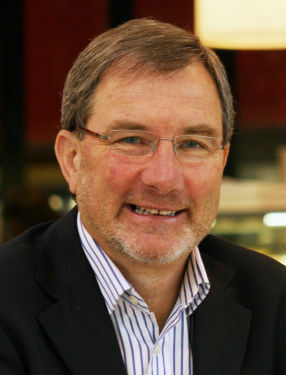 He was appointed Distinguished Professor at the University of Auckland in 2012, the Sir Paul Reeves Lecturer in 2013, a 2016 Hood Fellowship, and appointed as a Knight Companion of the New Zealand Order of Merit (KNZM) for services to medical research in the 2017 New Year Honours. 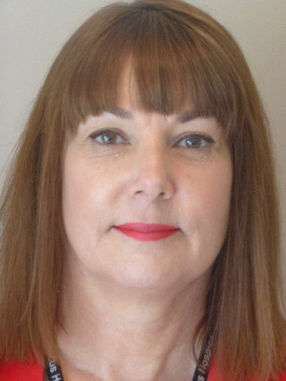 October 2018 Main Speaker: Susan Morton "Growing Up in New Zealand – Transforming Ordinary into Extraordinary"
Associate Professor Susan Morton is an expert in life course epidemiology and a specialist in Public Health Medicine. 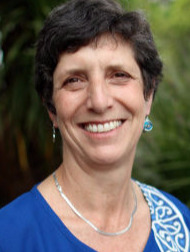 She is the Director of the University of Auckland cross-faculty Centre for Longitudinal Research - He Ara ki Mua, and has been the Director (PI) of the contemporary longitudinal study of NZ children and families (Growing Up in New Zealand) since its inception in 2005. The study follows 6853 children (born in 2009-2010) in the context of their families and the NZ environment. Her team engages with 16 government agencies to provide evidence to inform cross-sectoral policies to improve population wellbeing and solutions to reduce inequities in life course outcomes. Susan has a first class honours degree in pure mathematics and trained as a secondary teacher prior to undertaking her MBChB in Auckland. She undertook postgraduate training in paediatrics before being awarded a Commonwealth Scholarship to undertake a PhD in Epidemiology at the London School of Hygiene and Tropical Medicine. 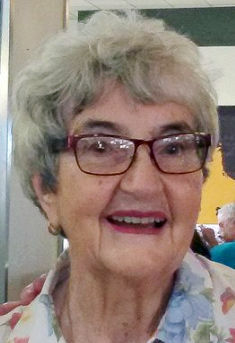 On returning to NZ in 2003 she completed her Public Health training and set up the longitudinal study and cross-faculty UoA Centre to provide its academic home. Susan in passionate about child wellbeing and translating research to make a difference to life course health. September 2018 Main Speaker: Selwyn Haworth JP "The Unknown Judiciary"
Selwyn Haworth was appointed a Justice of the Peace in 2002 and qualified as a Judicial Justice in 2008. He was appointed a Visiting Justice in 2015. He not only sits in the District Courts but he also presides over prison hearings. He will illuminate these roles and share some experiences. 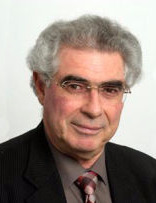 Selwyn enjoyed a 42 year career in Public Trust during which he was a District Public Trustee in a number of centres including Nelson and Takapuna. 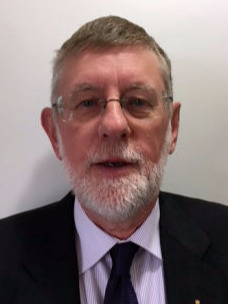 He retired as National Manager of Public Trust’s Charitable Trust unit in 2008, a unit that then held the nation’s largest portfolio of charitable organisations. He is the Immediate Past President of the Auckland Justices of the Peace Association and was the Convenor of the Royal Federation Conference hosted by the Auckland Justices of the Peace Association in 2015. Selwyn is actively involved in two charitable organisations, a Body Corporate committee and when time allows, he enjoys fishing, scuba diving, golf and “working” on their farmlet at Mangawhai. August 2018 Main Speaker: Chris Farrelly "Auckland City Mission"
Chris Farrelly has been the CEO/City Missioner at the Auckland City Mission since June 1st, 2016. Chris has responsibility for managing the Mission’s extensive range of health and social services, which work to improve outcomes for Aucklanders living in desperate need. Advocating for the rights of clients and for social change is also an important part of his role. Chris has a long history in health management, and prior to coming to the Auckland City Mission Chris had been CEO of Manaia Health PHO, in Northland for 13 years. Chris also spent 10 years working with a community development programme in a South Korean Slum. Chris has a Master of Theology degree from Berkley, USA and a Graduate Diploma in Dispute Resolution from Massey University. Distinguished Professor Paul Spoonley is the Pro Vice-Chancellor of the College of Humanities and Social Sciences at Massey University. He has been involved in some major research projects on immigration and diversity in New Zealand, including Capturing the Diversity Dividend of Aotearoa New Zealand (2014-2020). He is the author or editor of 27 books ranging from political extremism to the nature of work, and he was Ranginui Walker’s biographer (Mata Toa, Penguin). June 2018 Main Speaker: Derek Firth "The Dilworth Legacy"
Dilworth is a boarding school for good boys from poor families who demonstrate the potential to become good and useful members of society. The present roll is about 610 boys aged between 9 and 13 years. All boarding and education is free. The present value of the endowment is about $850m of which the school assets comprise about $160m. The original legacy was settled by the Protestant Irish settler, James Dilworth. The Navy Museum at Torpedo Bay is one of the three service museums in New Zealand and the only institution dedicated to the preservation of our navy’s and our nation’s naval and military history. As guardian of the institutional memory the museum plays an important role for the RNZN. 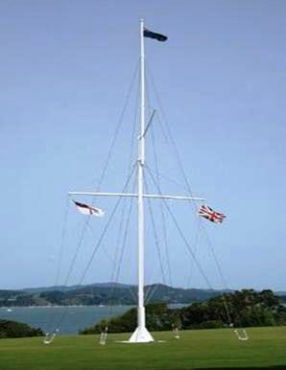 The site has important naval connections to New Zealand’s history and the history of Devonport. Michael Wynd has been the Navy Museum’s Researcher since 2007. He is responsible for conducting historical research for the Navy, the wider New Zealand Defence Force and the public. He looks after the Research Library which contains the largest collection of naval history in New Zealand and manages an archive. As a military historian, Michael’s research interests include naval history, the First World War and 19th century warfare. Allie has now been with Hibiscus Hospice for three years. She tells us that this is the most rewarding role she has ever had the pleasure of holding. The “Hospice Hug” – our wrap-around services. By using a fictional family, Allie will share their Hospice journey in a way that will dispel commonly held myths and provide a better understanding of their services. Allie likens the wrap-around services Hospice provides to the “Hospice Hug” which better demonstrates their care of the total person from mind, body and spirit to the support of their family and loved ones. March 2018 Main Speaker: Ros Giffney "An Orchestra for Social Change"
Now in its 7th year, Sistema Aotearoa is an independent Charitable Trust which began as a partnership between the APO and the Ministry of Culture and Heritage. In 2018 almost 400 children aged between 6 and 14 years will receive high quality supervised group-based orchestral instrument tuition. Based in Otara, the core programme involves children from 24 primary, intermediate and secondary schools (Deciles 1-3). Students are taught by specialist musicians and educators in/after school and in the school holidays. The key offering is positive behavioural modelling in a stimulating, supportive and well managed learning environment where each child can thrive. The children participate in lessons where positive group dynamics, cooperative behaviour and collective learning are actively promoted. Today we celebrate this occasion by acknowledging the New Zealanders that have made a significant contribution through a variety of formats via the generosity of some of our Small Interest Groups.